Shafts of high-alloyed Nickel-Chrome-Molybdenum (SAE 8660). For extreme hardness and toughness. Chromed with brinelled tip. Ergonomic grip of high-grade synthetic material (impact strength, oil and acid-resistant). The revolving top and finger mould improve ease of use. It is important to use the MICRO Screwdrivers with care. 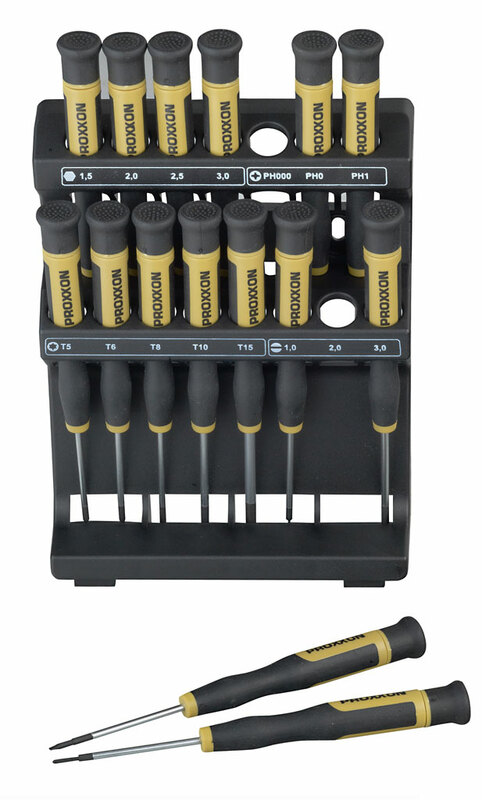 The brute force associated with larger screwdrivers is best left for other tools! 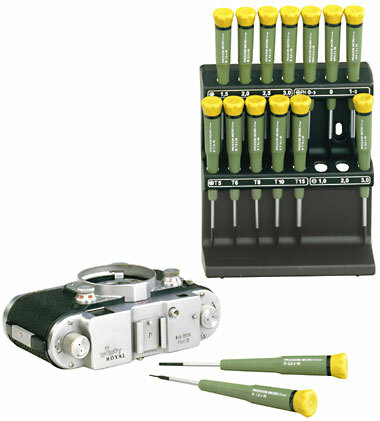 Click the button below to add the The PROXXON MICRO Screwdriver 15 pcs with stand to your wish list.